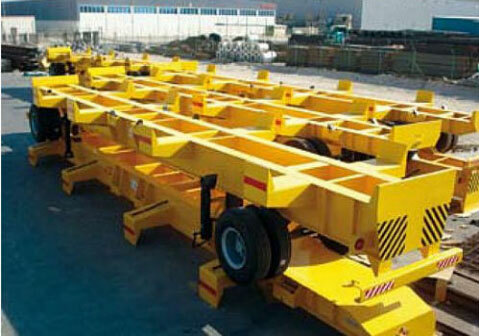 Trailers are tasked to transport and contain various materials and contents on a regular basis. Per their design, it is essential that they are capable of holding their cargo throughout the entirety of the transport. With that in mind, it is important to ensure quality materials are used to ensure durability and longevity. However, it also essential to make use of material that has the malleability to be formed into the appropriate shape for a trailer, while limiting the weight within the range of industry standards. For the highest quality trailer body fabrication in the region, there is one name you can always count on – LITCO Industries. Our manufacturing capability allows us to create a wide variety of these trailers in a short period of time, without compromising in terms of quality. We have a fully-equipped manufacturing facility, where all the metal fabrication takes place. Our team of in-house engineers, metal fabricators, designers, and project managers can perfectly accommodate any project and deliver within a reasonable timeline. We make use of the latest technologies in metal fabrication to ensure the quickest delivery time for every project. Through advanced project design software, we can create a digital visualisation of the project for your review. By closely collaborating with you, we ensure complete faithfulness to design specifications and requirements. If you find anything that must be altered in the concept, we will make the necessary adjustments. To know more about our production capacity and manufacturing facility, feel free to visit us today. We can give you a personal tour of our fabrication plant and give you a peek of our capabilities.